The concept of joining up health and social care has been around a long time – but now England’s National Health Service, marking its 70th birthday this year, is committed to making integrated care a reality. It has been a profound shift for the NHS in England over the last couple of years and has seen the health service begin to move away from its decades-old ‘internal market’ system towards much closer collaboration between NHS organisations, local councils and others through integrated care systems. NHS England’s chief executive Simon Stevens described the drive last year as “the biggest national move to integrating care of any major Western country”. It will mark a decisive shift away from the ‘purchaser-provider’ split introduced in local health economies in 1990, which encouraged competition between hospitals to produce efficiencies and greater responsiveness to patient needs. A recent IQVIA webinar hosted by pharmaphorum explored these fast-progressing plans for the NHS and looked at how the pharmaceutical industry can adapt to the new environment. The high-level panel assembled for the webinar featured NHS Confederation chairman Stephen Dorrell, COBIC’s Andrew Smith, James Roach from the West Essex Health and Care System and IQVIA’s country lead for health system engagement Steve Jowett. Having been involved in the introduction of the internal market system in the 1990s, Stephen Dorrell – a former Secretary of State for Health and Health Select Committee chair – was able to take the long view on having a more integrated system. “The challenge now is to create a more joined up health and care system focused on the individual outcomes achieved by individual citizens,” he said. This means there must be a mindset shift, so that citizens can be more involved in their own health and care – and wherever possible avoid becoming simply ‘a patient in the system’. Stephen acknowledged that this will require NHS and local authority leaders to take a much more collaborative and proactive approach, and truly break out of their existing silos. “Local government leaders can’t afford to sit and wait for the NHS to call and complain about delayed discharges. That creates an adversarial relationship – they need to establish a dialogue with the health service,” he said. Driving demand for these changes are the growing costs across the health system that threaten the long-term sustainability of the NHS and social care. West Essex is just one area that has struggled with long-running financial problems and James Roach, director of the Accountable Care Partnership in the West Essex Health and Care System, explained how it has worked hard to create a joined-up health and care system, addressing patient needs and its own financial sustainability. The hope is that this type of approach will provide a joined-up, patient-centered system and make a real difference to people’s lives. But it also ensures that the new integrated care systems approach has a lot riding on it. He said projects need to identify a targeted population and will naturally require collaboration between all stakeholders – but their complexity has been increasing of late. Last year saw 44 sustainability and transformation partnerships (STPs) established across England, with 10 further accountable care systems (ACSs) in regions which will pioneer the fastest and deepest integration between health and social care. Then, in early 2018, NHS England decided to rename these 10 regions as integrated care systems (ICS). This was partly to clear up any confusion about their mission, but also to distance them from the US for-profit accountable care organisations that were their inspiration, but which created some fears about a privatisation of the NHS. He says clinical disengagement – doctors and nurses not being on board with changes – is a real danger, especially as ‘change fatigue’ is very real in the NHS. West Essex addressed this by engaging clinicians about variation in the system and giving them autonomy to tackle it. It has done this in three priority areas: musculoskeletal conditions, chronic obstructive pulmonary disease (COPD) and urgent care. Furthermore, those within the NHS establishing ICS models need to be empowered so they can develop a deeper understanding of their populations and their needs, and they will require data tools to achieve this, Steve said. A wider perspective on integrated care was provided for the webinar audience by Andrew Smith, who is a director at health and care consultancy COBIC, which has pioneered the development of capitated outcomes-based incentivised care in England. This way of contracting is becoming the new norm in the NHS, and acts as a catalyst to deliver truly person-centered care. For UK pharma, the latest reforms come at a moment of unprecedented upheaval: Brexit, now less than a year away, is creating huge uncertainty, and many in the industry fear it will diminish the UK attractiveness as a market, and as a destination for clinical trials. Steve Jowett agreed, but added that the NHS should also be willing to re-shape care pathways where necessary. “If we can identify those opportunities and those that are coming through from new medicines, then that’s a phenomenal place to start. The pharma industry is there to innovate, and to drive the opportunity to transform care through the products that it makes,” he said. 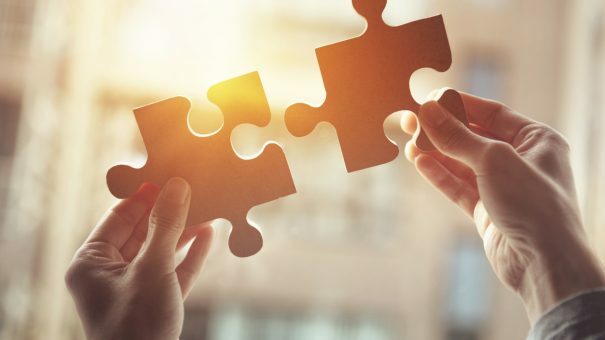 Work is already underway on a number of these kinds of partnerships, with the NHS, pharma and other organisations collaborating to delivery improved outcome at better value. One such strategic collaboration began in 2017 and saw the UK’s leading transformative body for oncology services, the national Cancer Vanguard, partner with IQVIA and a number of pharmaceutical companies to create new models of cancer care that could be reproduced on a national scale.